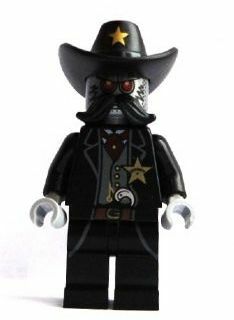 Sheriff Not-a-robot is a minifigure released in 2014 as part of The LEGO Movie theme. He is one of Lord Business's "Super Secret Police" officers. He commands the Deputrons. His mustache piece is currently exclusive to him. This page was last edited on 10 January 2016, at 00:30.